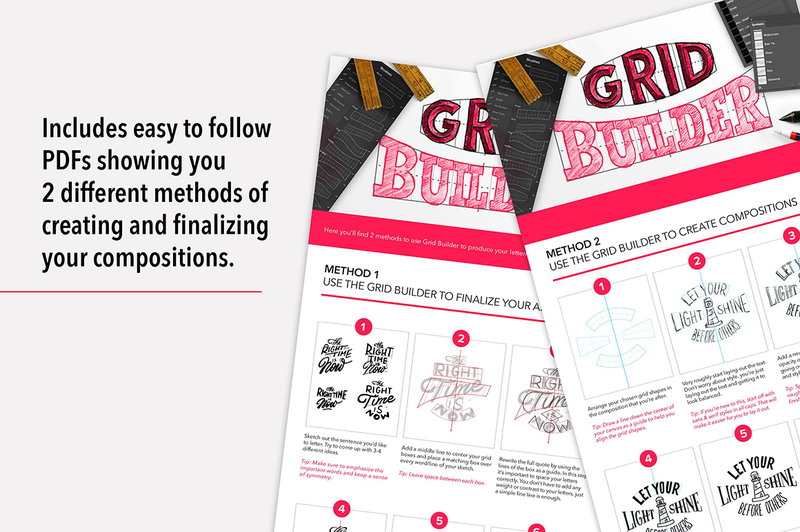 Creating stunning lettering layouts has never been easier! Something that I struggle with and I know you guys do to, is laying out a great composition within your lettering work. You have the quote or words you want to use, you know the style, but you just get stuck with how to lay it out, so it doesn’t look like letters just thrown onto a page. That’s when we came up with Grid Builder. 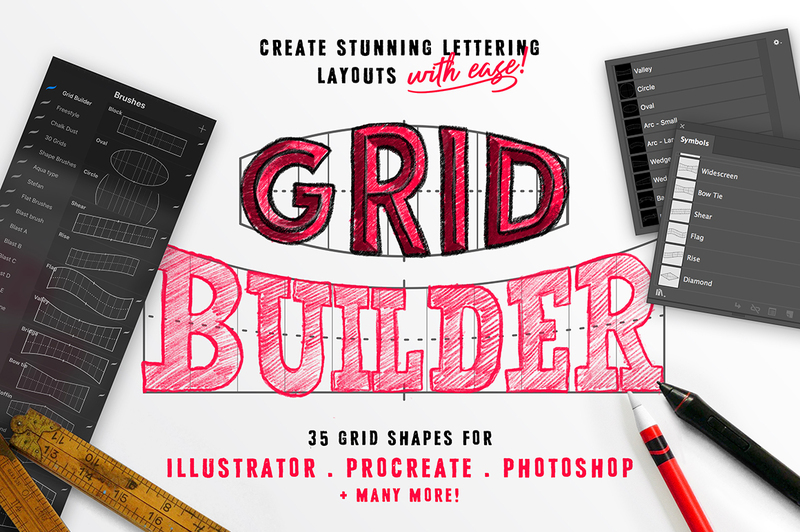 A set of 35 individual grid shapes that you can place together to act as guides when creating your layouts. They can be resized, stretched and recolored so that every layout you compose will look completely different from the next. What’s more, they work in nearly all of the top lettering programs. 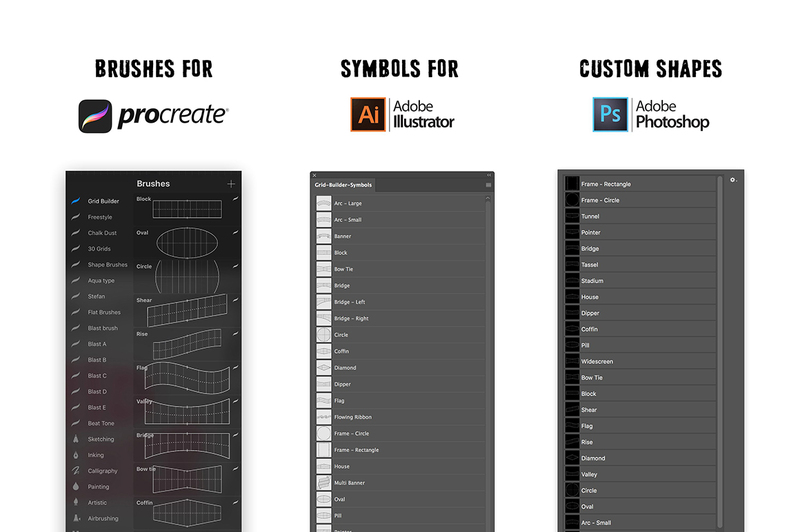 Brushes in Procreate, Custom Shapes & Brushes in Adobe Photoshop and drag & drop Symbols in Adobe Illustrator. So whether you have an iPad, Surface, Wacom or Desktop Computer there is an option that can work for you. Bonjour, je vien de faire l’achat de c’est plusieurs grilles puisque ca m’aideras vachement pour mes études mais aucun mail, juste la confirmation de mon achat, et l’argent a bien été retiré de mon compte en banque…( l’achat date de 2 jours ) est ce normal ? Ou dois-je attendre encore un peux de temps ? Merci de votre réponse. Would it be possible to send me an email on how to use it on affinity? 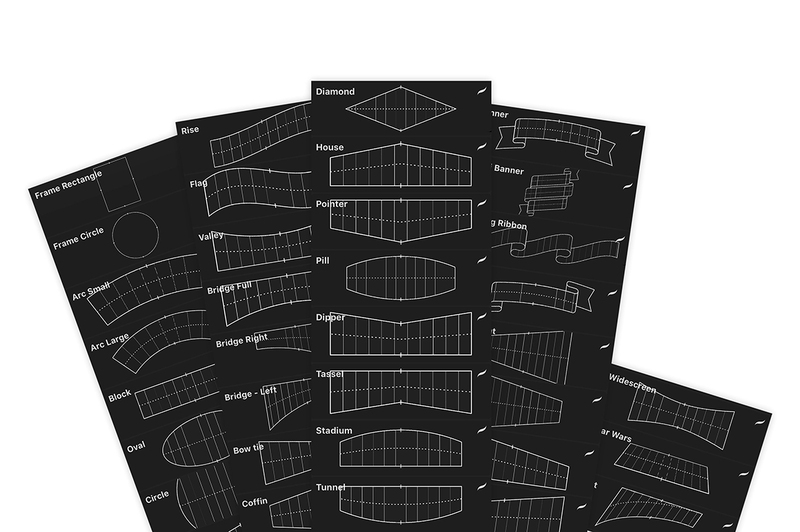 Just in case you haven’t seen these already Martin, Ian Barnard, the designer behind the Grid Builder has included some handy PDF guides to installing your resources, as well as a starter guide on how to work with your grids. So that you can access these PDF guides without further delay, I have emailed you some copies, and if you have any other questions Martin I can certainly help! I hate to bother you awesome people here, but could I trouble you for that same pdf explaining how to use it with typed text before I decide to buy or not. Thank y’all for always being spot on with customer service! Have a blessed day! Thank you so much for your comment and rest assured this is a great question and not a bother at all! 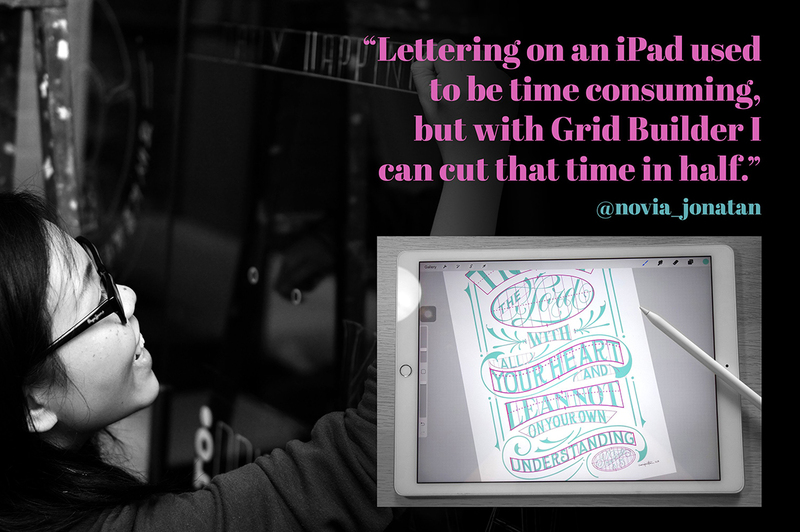 As the Grid Builder is intended for hand-drawn lettering, the designer has not included instructions for working with this one using typed text so I’m so sorry for any disappointment caused! The good news is that you can work with this one with typed text, and if you transform your text into a smart layer and use the grids to organize your layout, you should be able to manipulate your text easier, and more creatively than simply adjusting the text box. Rest assured i have also popped you over an email with more information to help you with this further so I hope that this helps! Could you possibly send me the email instructions for using this with typed text. Thanks for commenting Greg and it would be my pleasure! I have just sent you an email so I hope this helps :). I’m interested in this product if can be used with typed text. From the comments above, I’m not clear on whether it can be used in this manner. Could someone confirm before I purchase? Thanks. Thank you so much for reaching out to us and I’m so sorry for any confusion caused. As the Grid Builder is mainly intended for hand-drawn lettering, and does not automatically arrange your text for you, the designer has not included instructions for working with this one using typed text so I’m so sorry for any disappointment caused! The good news is that you can work with this one with typed text manually, and if you transformed your text into a smart layer and use the grids to organise your layout, you should be able to manipulate your text easier, and more creatively than simply adjusting the text box. Rest assured I have popped you over an email to help you further with this! Hi Annabel, Super glad with the grid builder. Could I get the email to help with typed text as well? Excited to use Grid Builder. Thanks for always having a good product at a good price! Woohoo we’re so glad to hear that you are feeling super excited to take your new Grid Builder for a spin, happy designing Bill! Bought this (at $5, it’s a steal) hoping to use in Photoshop to lay out typed text on the grids, but no indication in the documentation how to do this? Looks from the PDFs like it’s purely for hand-lettering on top of the shapes with a stylus & tablet – or have I got that wrong; and if so, how do I layout my typed text? Thanks. Thank you so much for your comment and I’m so sorry for any confusion caused by your new Grid Builder. Rest assured I have popped you an email to help you further with this! Thank you so much for reaching out to us and that is perfectly fine! Thank you for this steal deal Design Cuts! you guys are awesome. 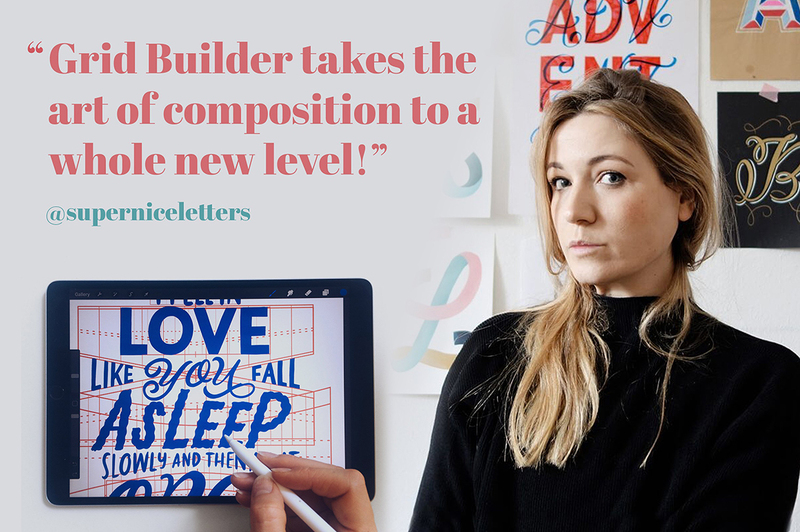 Thank you so much for reaching out to me and it’s great to hear that you loved picking up the Grid Builder in our birthday event. As the Grid Builder is mainly intended for hand-drawn lettering, the designer has not included instructions for working with this one using typed text so I’m so sorry for any disappointment caused! The good news is that you can still work with this one with typed text, and if you transformed your text into a smart layer and use the grids to organise your layout, you should be able to manipulate your text easier, and more creatively than simply adjusting the text box. Just bought the Grid Builder when I noticed that the files are CS6 – CC, and I’m working with CS5. But it seems to work just fine in CS5 anyhow!!! Thank you so much for your comment and I’m so glad to hear that this one is working for you in CS5. Unfortunately as all of the elements in this pack may not work for everyone working with CS5, the designer has advised the compatibility to be CS6 and newer so our apologies for any confusion caused. We hope that you are able to get great use out of this one Sheina and happy designing! First of all Happy birthday ! I have a question about the Grid Builder – Layout Composer . Does it work with Core Draw ? I’m really sorry for any disappointment caused by the compatibility of the Grid Builder. Whilst the designer has provided their Individual Image Files in PNG, PDF and SVG forma, which are compatible with most design software, the additional assets including the brushes and symbols, are unfortunately not compatible with Corel Draw so my sincerest apologies for any disappointment caused. When you announce this great great burthday celebration, I immediately look into this grid builder. I’ve been eyeing this product for a while. I was on the fence whetherI should buy it or not, but with this price I don’t think twice to buy it. Thank you so much! 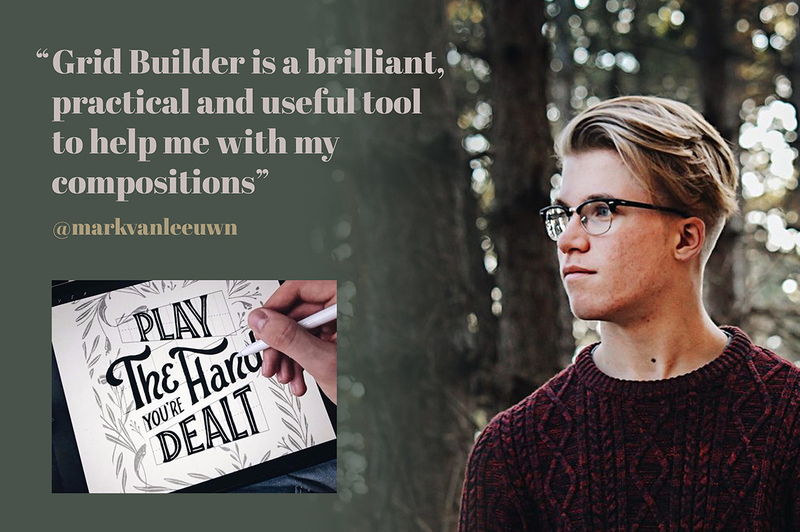 That is fantastic to hear and we are so pleased that you were eyeing up the Grid Builder 🙂 We really hope you love working with it and please do let us know how you get on! Excellent product! I am an artist working primarily with paint and printmaking but in the last few years I’ve wandered over to the digital side. I have painted hand lettering and signage occasionally through the years for jobs and personalised gifts. The most important part – the layout – is the most important but time consuming part of the process – not the thumbnails, but the drafting of curves on the actual board/canvas – I would draw a lovely swoosh of a curve for my baseline but it’s nigh on impossible to replicate that same curve for the middle line and cap line so I’d have to trace my original curve and transfer it. As this product also contains PDFs, I can print these out and enlarge as desired to use on my lightbox or by tracing to get perfect results. It is a time saver for me in this way. 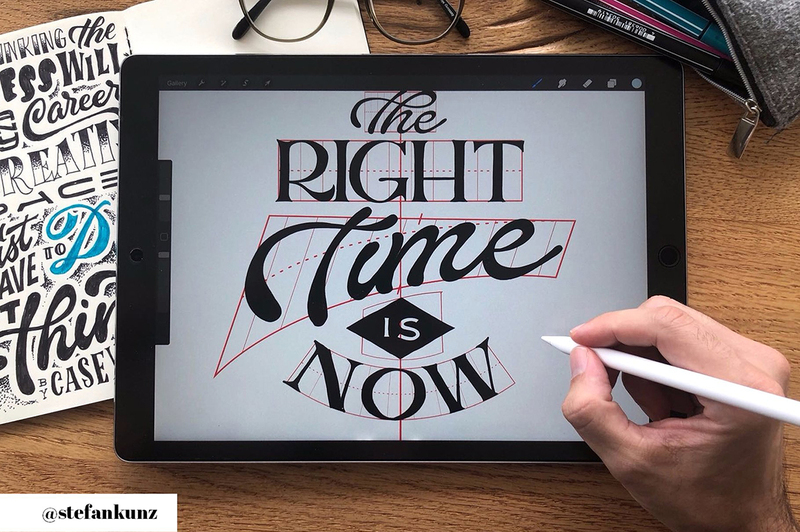 I work with lettering primarily on paper/board/canvas as opposed to digitally and I don’t have a tablet and pen but I can imagine this is an invaluable resource for those who do. For people who expect that this product miraculously snaps type into the layout grid – it doesn’t. You still have to do some actual work. Wow thank you so much for taking the time to write us such a lovely comment, your support really means the world to us! It’s great too hear that you find that our Grid Builder is a huge time-saver for you and that these work perfectly with your lightbox so that you can use these with your canvas and board designs- if you would be happy sharing with us we would love to see what you create with these Madeleine! We hope that you have a great day, and happy designing! So after choosing the layout then we start typing and I suppose in photoshop use the edit>transform>wrap? The great news is that the designer has included helpful PDF guides to help get you started with working with this one but if you do experience any difficulty working with this one, please do not hesitate to get in touch and we can certainly help!